Next, ensure you are running the latest version of the Tails OS. You can do this by starting up your Admin Workstation and selecting Activities > Tails > About Tails. Compare the version number with the current release highlighted on the Tails website. If you are running an older version, you will need to upgrade. 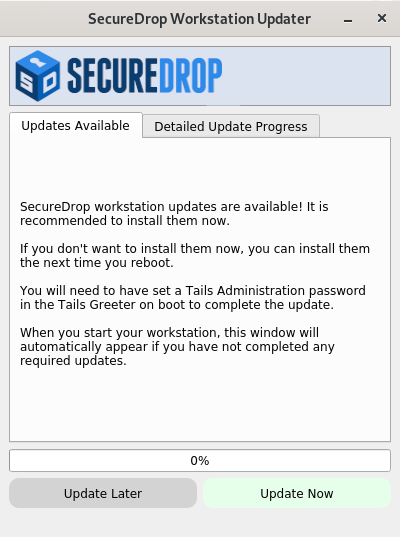 For more information on upgrading your Tails USB, see Upgrading a Tails USB stick.